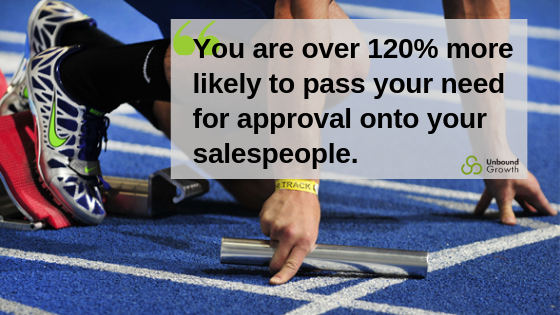 Sales Managers- What's your approval got to do with it? As human beings, we are wired and conditioned to seek the approval of others. Unfortunately, that can sometimes get in the way. 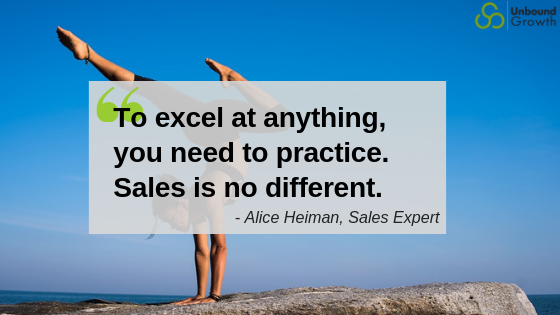 Getting feedback from your sales manager can be scary. Especially if you struggle with a need for approval from others. 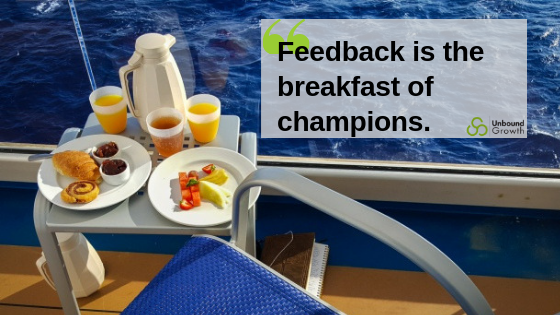 But as they say, “Feedback is the breakfast of champions,” and like breakfast, get coaching and feedback everyday to take your sales career to the next level. The more feedback you can get, and apply, the less of a surprise it will be, the less stressful it will be, and you will have more opportunities to change your behavior. They say when you are tired of talking about something, that is when people are just starting to get it. I am officially tired of talking about the importance of personally meaningful goals and how to create them. But there is still a long way to go. Survey data of nearly half a million potential new sales hires showed only 51% had personally meaningful goals. Hmmm, I wonder if that has anything to do with the half of salespeople who make quota? 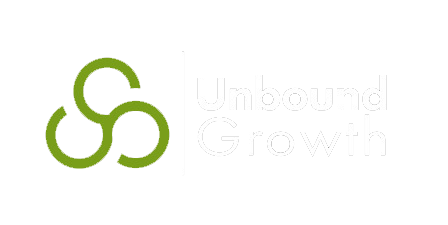 There is just too much evidence to deny the ROI of 1:1 sales coaching on team performance. I could cite the CEB research that shows that salespeople who are coached at least 3 hours a month achieve an average of 7% over quota. Because even in today's buyer-has-all-the-control- and information overload age, referrals will still cost you less, will close at a higher value, and will close faster than any other means of generating customers. Despite this mathematical truth more people are asking, "How do I get more referrals?" than they should. The question that I have is, have you ever thought that maybe the way that you're handling referrals is the reason you're not getting more of them? 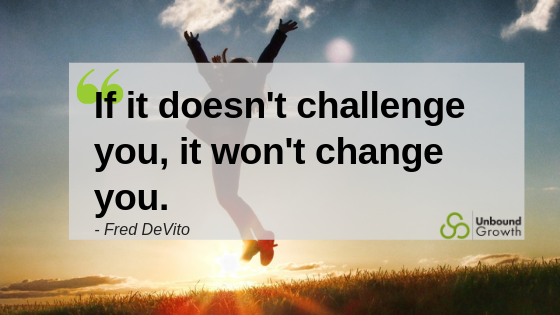 This was our topic for a recent #livesaleslab. When I asked participants, "How do you handle referrals?" The answers weren't unsurprisingly a lot about them and their sales process. Hint, it's not about you. 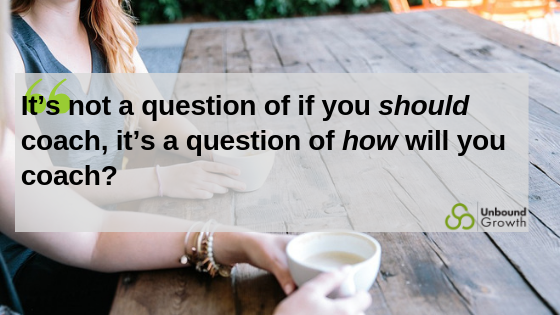 On a recent #livesaleslab, we talked about two questions. First, why should people buy from you, and second, why should they buy from you now? These seem like relatively simple questions to answer. 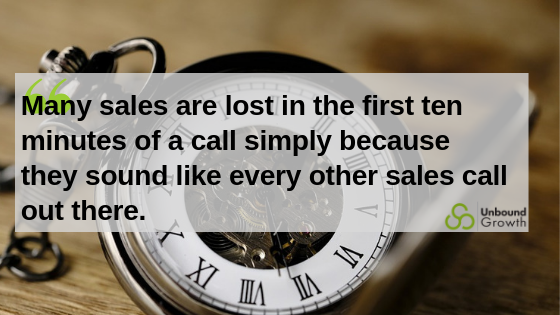 However, most of the time when I'm asking these questions of salespeople, the answers I get are usually somewhere along the lines of, "Well, they should buy from us because we have the best quality product." Or "They should buy from us because we have the number one in customer service." Then of course, there's those that say, "Well, we're the only ones that do this in this particular way." And then of course, there may be those few that still say, "Well, we do have the lowest price." So, how much does your stuff cost? When is right time to break up with a prospect? When I talk with salespeople about ghosting, when the best time to break up with a prospect is, and how to break up with that prospect, the analogy that's been left with me is dating. Because throughout the conversation that I was having with salespeople, we were talking about why ghosting bothers us so much. It's the rejection. It's that they didn't reply back to us, or it's the idea that we now actually have to go out and find other people to talk to, which means more rejection. And so how do we overcome some of these hangups about prospecting? And why is prospecting so important when we're thinking about our pipeline?